We are calm in a crisis. Salix has worked with many high profile organisations in the inevitable moments of crisis that occur in sectors that have a profound impact on people’s lives. Our experienced team of communicators, many of whom have worked in fast-paced national print and broadcast media, provide calm, insight-led advice and support. We have contained many crises by taking a straightforward approach that focuses on fact, truth, accountability and considered decision making. We partner with some of the most respected media trainers in the country to prepare senior executives for challenging media situations. Effective crisis management should not rely on a manual gathering dust on a shelf or tick box media training. It is a continual process owned and managed by an organisation, where psychology is as important as procedure. 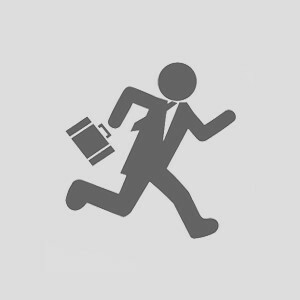 Crisis is no respecter of business size, diaries, schedules, budget, priorities, holidays or illness, and is likely to visit when least expected. Smart organisations know the only time to prepare for a crisis is now. 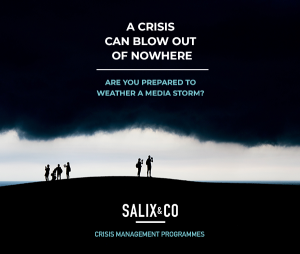 Salix & Co offers a four module, bespoke and interactive crisis management programme that will put you firmly in control when you find yourself in the eye of a storm.